Sikiwis is pleased to announce its Apps Generators platform was retained by Europe’s first biogas plant producing Methane from solid organic waste operated by a leading european waste management operator. Apps Generators delivers a powerful support as an easy enablor of mobile procedures and fast integration of legacy systems with full portage to mobile. Applications in the manufacturing environment range from safety procedures to quality, maintenance, spare parts management, issue detection systems and fast response support, in addition to enabling mobile access to data throughout the manufacturing plant. Apps generators click and play approach and integration ready architecture enables fast implementation of complex processes and systems integration for full mobile management. 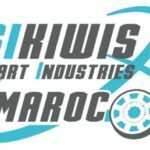 The Sikiwis team is very proud that its Apps Generation technology confirms its versality in the most demanding industrial environments and will keep innovating to increase the scope of improvement possibilities in manufacturing and field operations.